It’s been ages since I’ve put together a wishlist post, hasn’t it? Well, I’m sure you’ve hardly been keeping track, but I can say for sure that it’s been a good year! In fact, I’d totally forgotten how to use Photoshop. We’re coming to that time of year now where I just want to shop shop shop. With Ottie’s birthday in September, Jason’s in October, and a little baby due to arrive somewhere in between, it’s safe to say there’s been a fair bit of online ordering going on round these parts just lately! In fact, parcels have been arriving at our house so frequently that every time the dogs bark Ottilie now says ‘man at the door?’ and looks expectantly out of the window! But why is it that autumn clothes are so very tempting? Especially those of the toddler and baby variety- in fact, it’s safe to say Ottie’s wardrobe for the coming months is 100x more stylish than my own, and I’m 100% okay with that! 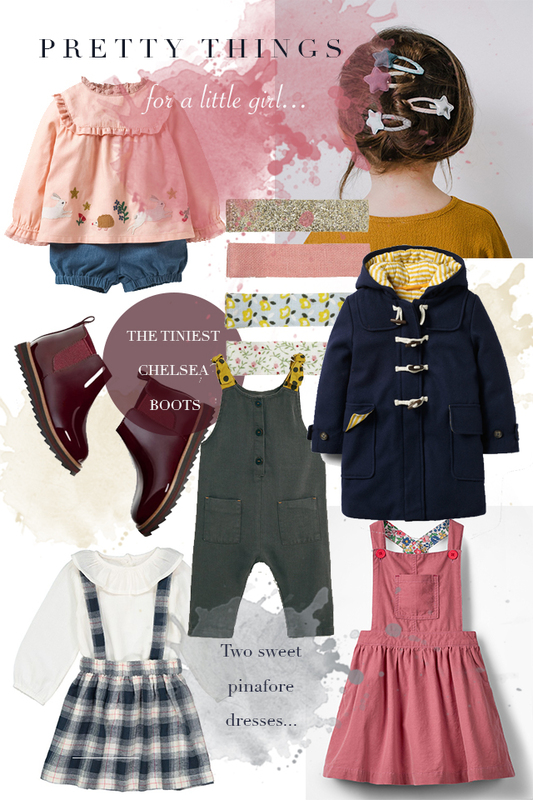 Above are of a few pieces I’m lusting over for Ottilie for the colder months…and a couple of bits I may or may not have already ordered her!